Freelancing offers a lot of freedom — it’s in the word — but liberty comes at a cost. In this case, the cost is having to handle your own income and tax. Thanks to the US tax code, managing this part of your business can get overwhelming if we don't quickly get to grips with the basics. 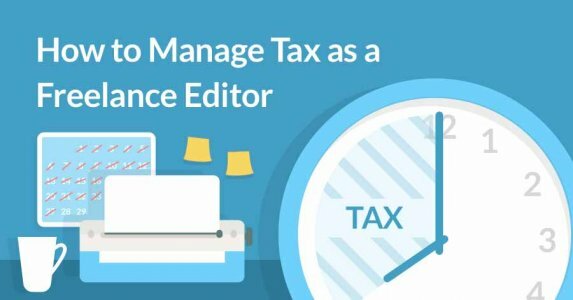 In this post, we'll show you how to effortlessly (and fearlessly) manage your taxes as a freelancer. By the end, you’ll be ready to live the dream and humblebrag to all your former colleagues about how the glaring sun makes it hard to see your screen when you work by the pool. A disclaimer: none of us at Reedsy are accountants or tax professionals. This guide is meant to be a starting point for informational purposes only, and should not be a substitute for professional tax, legal, or accounting advice. We strongly recommend you supplement your knowledge of U.S. taxes with your own research or consult a professional accountant. 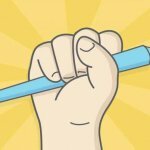 Looking to become a publishing freelancer? Do you already know what taxes will apply? Handling taxes without the help of an employer can be intimidating, so we’ll lay it out simply for you. Once you know what needs to get done, we can dive into the details of how to actually do it. To do so, you will need to complete a handful of forms and submit tax estimates four times a year. Sounds simple enough, right? Now let’s get to the fine details. Before dealing with the nitty-gritty of calculating and paying, gather the basic information you need moving forward: your forms, dates, and a few tools to help make all this a lot easier. Each quarter, freelancers must submit and pay tax estimates to the IRS. These estimates do not include deductions or income tax — they are simply quarterly payments to ensure that you pay tax accurately and regularly (and that you don’t incur an IRS penalty or a shockingly large surprise come tax day). Since these forms essentially serve to estimate the taxes you owe, you may also use the previous year’s tax return in their place — so long as you think this year will be similar. If you overpay one year, the difference will be deducted on your next years’ tax responsibility. If you underpay, the difference will be charged, along with a separately figured penalty if you owe more than $1000. We’ll get into how to pay them once we cover how to actually calculate what you’ll pay. There are many other means to keep track of and calculate your tax. Here, we’ll give the rest of the tools you’ll need, so you’re prepared for when things get trickier. Experienced freelancers will often track their expenses in Microsoft Excel or Google Spreadsheets, or with other tools like Quickbooks, Turbotax, FreeAgent, and Freshbooks. However, for beginners who wouldn’t know where to start, there are a couple of helpful apps to give you a leg up. Bonsai is a big one: it’s a tracking platform that helps freelancers track expenses, calculate taxes and provide invoice templates. SageOne is another accounting app targeted at small businesses and freelancers which offers similar services to Bonsai. There’s also Cushion, another accounting app designed specifically for freelancers. It has slightly limited tax capabilities compared to Bonsai, but in addition to tracking time and monthly goals, it offers integration with accounting tools such as FreeAgent, FreshBooks, and Xero. If you’ve been using or still use those tools, you can import all your existing data into Cushion. We suggest having “Business” and “Tax” bank accounts, separate from your personal checking or savings. That way, you can clearly see what has been paid by a client, along with any business-related expenses. We suggest keeping roughly 30% of your income in the latter, so you don’t get slammed come tax day. However, if you’re sticking around, we’re here to show you how to do it yourself. All you need to do for most of these is enter your total annual income. Once you input that, the calculator will spit out a figure for the Medicare and Social Security taxes that you need to pay. Note: If you’re curious as to how these calculators determine this, it’s actually pretty simple: they basically calculate income x .9235 x .153. This is because, as a freelancer, only 92.35% of your total self-employment earnings are taxable — you are allowed to deduct the portion of taxes an employer would normally pay (7.65%). From there, 15.3% of that taxable amount will count as your self-employment taxes. Finally, remember that you are only taxed for Social Security on up to $127,200, but the Medicare tax has no earnings limit. And, if your net profit was less than $400 in the full tax year from your freelance work, you pay none of this (you still need to file a tax return, though). Remember, as a freelancer you should be paying self-employment taxes each quarter so that at the end of the year, you only have to worry about income taxes. We highly recommend using the Electronic Federal Tax Payment System (EFTPS) to stay on top of this. And an accountant… though hopefully you no longer need one! 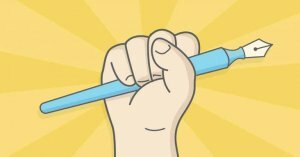 Check out this list of deductible expenses for freelance editors! Businesses and employers deduct all of this, so you should too. Here is a comprehensive list. That covers the SE taxes but, unfortunately, as a freelancer you must also pay regular income taxes— both federal and state. Fortunately, calculating those is a little less complex. 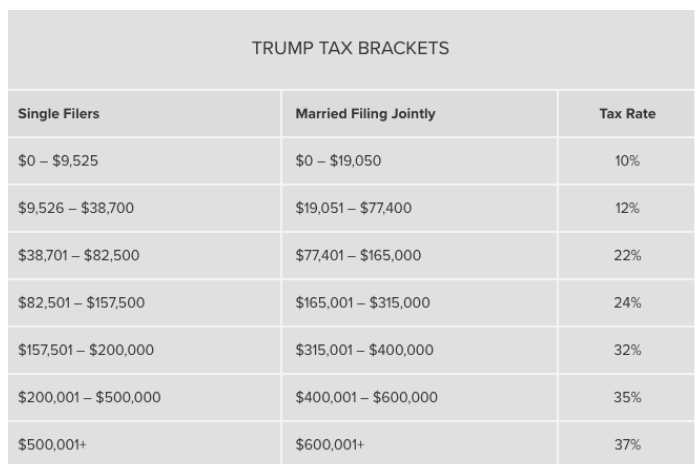 This table might suggest that if you earn $40,000, your total earnings will be taxed 24%, but this is misleading. Up to $9,325 will be taxed at 10%; $9,325 to $37,950 will be taxed at 15%; the remaining $2,050 will be taxed at 24%. Don’t worry about state tax until you complete your federal (but keep in mind the return must still be filed by April 15th). If you live in Alaska, Florida, Nevada, South Dakota, Texas, Washington or Wyoming, congrats! You don’t need to worry about state tax at all. For those in Tennessee or New Hampshire, you only need to declare income from dividends and interest income, but not earned income. Everyone else, buckle up. Each state levies their own taxes, and on the whole, they are based on how much you earn. Some have a flat fee. Instead of going through all 41 states that levy state tax, Balance has come to the rescue with a page of state calculators. Simply find your state and click to open the calculator and forms required. As you can see, you don’t simply pay tax on what you bring in. There are deductions, such as standard business expenses, that are taken from your earnings to calculate the net profit. If you are still with us, give yourself a pat on the back. You now know the basics rules of navigating tax as a freelancer! But of course, we wouldn’t have rules without a few exceptions. First, although a client doesn’t need to provide you a 1099 form if you charged them less than $600, you still pay tax on it in the same way you would if the charge was above $600. This is a common mistake that can cause headaches later. Second, your Social Security and Medicare tax is likely to be slightly higher than what you paid when you were traditionally employed. Traditional employers split the cost, so one tiny drawback to the freedom of freelance work means you will pay a bit more here. Finally, if you only freelance part-time, you will still need to pay self-employment taxes (if you receive more than $400 profit on freelance projects in the year). More money, more problems, right? But hey, at the end of the day — more money, more money. Congratulations! You are now equipped to handle your own tax and avoid the typical tax day dread. If you still aren’t sure how to connect the dots, here is our full tax management master plan. Put on a smug smile and chill out. If you have any thoughts, questions (or gripes) about paying tax as a freelancer, leave a message in the comments below. Sign up to receive tips for growing your business.